I’ve always been able to depend on the Metal Gear Solid videogame franchise for two things: 1) The main character, Snake, will smoke. 2) When he’s not busy smoking, sneaking or shooting, Snake will take part in long, elaborate movie sequences that explain the game’s convoluted political plotline while demonstrating cutting-edge videogame technology. 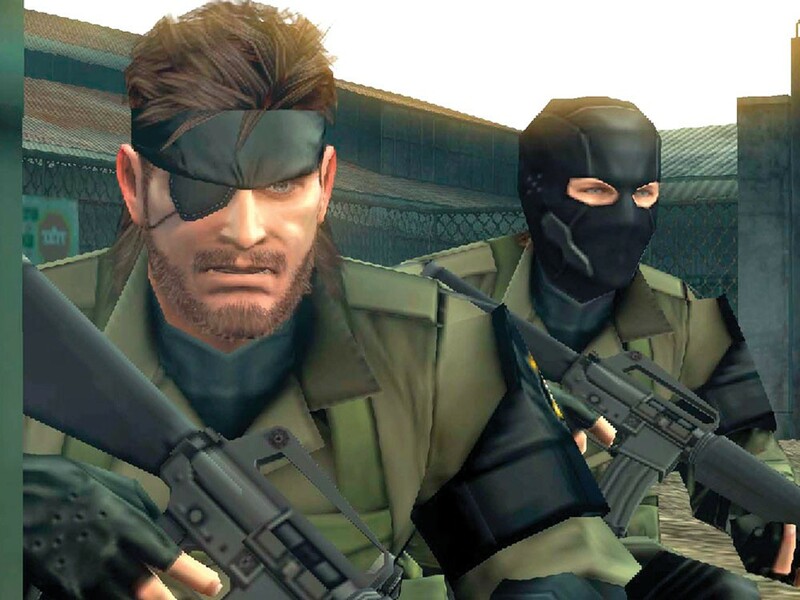 Take away the overlong storytelling and Metal Gear would just be another sneaky warfare game. It’s the geeky storytelling full of shady politics and global armed forces that elevates Metal Gear into “thriller” territory. In the past, the series’ creator Hideo Kojima has lavished so much attention on these extended cutscenes that they’ve almost managed to convince me that the game’s plotline was real. But take away Snake’s smoking and the whole franchise disappears. His red-tipped cigarette has always identified the tight-lipped hero of the games as an actual character, not just some voiceover in combat fatigues. By boldly puffing in the face of political correctness, Snake has solidified himself into a character almost as recognizable as any mustachioed Italian plumber. But Peace Walker is a PSP game, which means that it must make concessions. Portable systems like the PSP don’t have all the technological horsepower of their living room counterparts. Instead of sporting libraries of first-person shooters or real-time action games, handheld systems have often flourished with turn-based titles or role-playing games. Metal Gear has always distinguished itself for the lavish treatment it gives every character in the game. The interpersonal relationships between the combatants help make Metal Gear battles feel intense and significant instead of slow and clunky. But on the PSP, the characters aren’t given enough room to grow to full, believable size, either during the storytelling segments or when they’re dropped into action in the game’s small and mundane mazelike battlegrounds. The PSP also strips away graphical detail. Things look fine for much of the sneaking action favored by the game, but when Snake attempts some hand-to-hand combat with his opponents the graphics become so blocky and inanimate that looking at the screen can actually be misleading. I’m sure the lack of visual detail is one reason they extinguished Snake’s cigarette. But in a game that has already had much of its wicked indulgences filtered out, giving up the cigarette is too much sacrifice for me. THE GOOD: The one good thing Peace Walker gains by going to the PSP is a willingness to try new things. Many of the dramatic scenes are presented with a sequence of animated comic-book style graphics and a soundtrack. Graphic novels aren’t exactly cutting edge, but they’re quicker than the uncut digital movies that have made past Metal Gear games move so glacially. THE BAD: Trying to cram a full Metal Gear experience onto the handheld system has caused Peace Walker to seem like a hastily finished game full of half-developed ideas. Due to the system’s small screen, details give way to blurry, generic surfaces. The music is entirely forgettable. And Snake himself can’t crawl or slide along walls. THE BOTTOM LINE: Hobbled by handheld technology, Metal Gear Solid: Peace Walker can’t keep up with the trailblazing pace of its predecessors.